We sought to identify the method that could obtain the best survival rate for AJCC stage IV bladder cancer (BCa) patients. Patients with AJCC stage IV BCa diagnosed between 2004 and 2015 were identified using the Surveillance, epidemiology and end results (SEER) database. Kaplan–Meier curves and log-rank test were used for overall survival (OS) and cancer-specific survival (CSS). Multivariable Cox regression was used to determine factors associated with all-cause mortality (ACM) and cancer-specific mortality (CSM). We found that among the 11824 patients, the number of patients who received chemotherapy (CT), radiotherapy (RT) and radical cystectomy (RC) was 6243 (52.8%), 2005 (17.0%) and 4987 (42.2%), respectively. Patients who received CT or RC had improved OS (26.4% vs. 11.7%, p < 0.001 and 27.3% vs. 13.7%, p < 0.001, respectively), but patients who underwent RT alone had lower OS (14.4% vs. 20.5%, p < 0.001). Furthermore, CT combined with RC was associated with the lowest ACM (hazard ratio (HR) = 0.26, 95% CI 0.24–0.28, p < 0.001) and the lowest CSM (HR = 0.24, 95% CI 0.22–0.26, p < 0.001). Patients who only received RT had the highest ACM (HR = 0.84, 95% CI 0.77–0.92, p < 0.001) and the highest CSM (HR = 0.85, 95% CI 0.77–0.94, p = 0.002). We concluded that CT combined with RC was the best method with the highest survival rate for patients with AJCC stage IV BCa and that CT combined with RC had more benefits in improving OS and CSS than did RT alone. 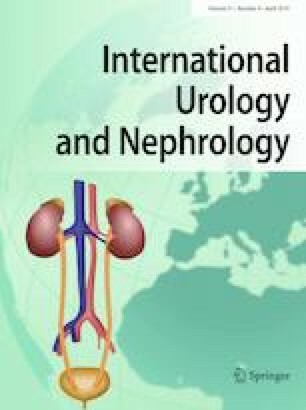 The authors are grateful for the invaluable support and useful discussions with other members of the urology department. WM, JF and JG were involved in the study conception and design. WM collected and assembled data. WM, BM, XH, SG, ML and JG were involved in data analysis and interpretation WM wrote the manuscript. This work was supported by grants from the National Natural Science Foundation of China (81001134) and Tongji University (1501219143) to Jiang Geng. The authors of this manuscript have no conflicts of interest. No ethics approval was required as this study was an economic analysis without human subjects.